UPDATED: Thu., May 10, 2018, 5:46 p.m.
Gonzaga rising sophomore forward Corey Kispert has been selected to play with an Athletes in Action team that will tour the Czech Republic and Spain. Kispert will join his AIA teammates for training camp May 21-24 at Baylor University. The team departs May 25 for Prague and will play two games against the Czech Republic U20 national team. The team flies to Madrid on May 29 for three games against professional teams before returning to the U.S. on June 3. The AIA roster includes South Dakota State’s Tevin King, Austin Peay’s Zach Glotta, Northwestern State’s Ishmael Lane, Tennessee’s Lamonte Turner, Mercer’s Ross Cummings, North Texas’ Zach Simmons, Southern Nazarene’s Noah Starkey, and Baylor’s Mario Kegler and MaCio Teague. Baylor director of basketball operations Bill Peterson will serve as head coach. 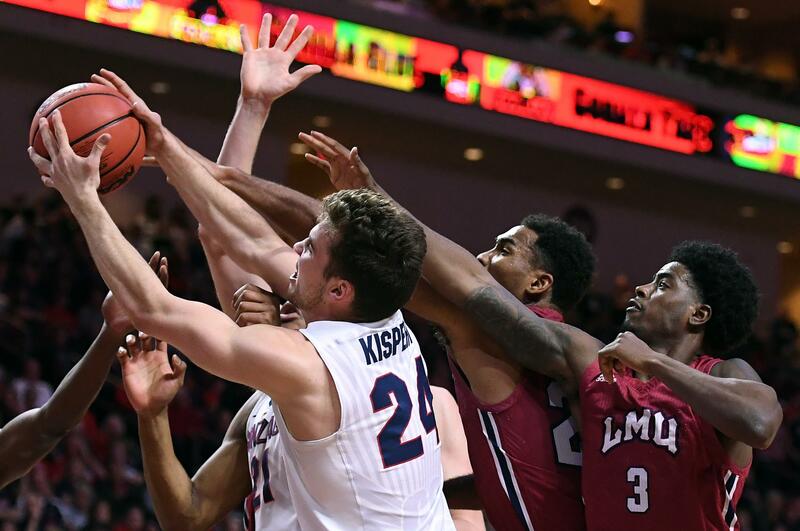 Kispert played in 35 games, starting the first seven before suffering an ankle injury in his true freshman season. The 6-foot-6, 215-pound wing averaged 6.7 points and 3.2 rebounds in 19.7 minutes. He was fifth on the team with 40 3-pointers and shot 63 percent from inside the arc. AIA tour goals are to provide a cross-cultural experience, international competition and for team members to grow in their personal faith. Published: May 10, 2018, 4:57 p.m. Updated: May 10, 2018, 5:46 p.m.